A coming-of-age story that explores culture and family, forgiveness and friendship, and what makes a true home. Perfect for fans of Wendy Mass and Joan Bauer. Lou Bulosan-Nelson has the ultimate summer DIY project. She's going to build her own "tiny house," 100 square feet all her own. She shares a room with her mom in her grandmother's house, and longs for a place where she can escape her crazy but lovable extended Filipino family. 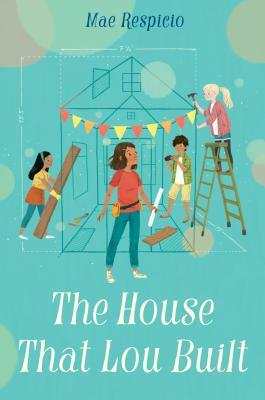 Lou enjoys her woodshop class and creating projects, and she plans to build the house on land she inherited from her dad, who died before she was born. But then she finds out that the land may not be hers for much longer. Lou discovers it's not easy to save her land, or to build a house. But she won't give up; with the help of friends and relatives, her dream begins to take shape, and she learns the deeper meaning of home and family. Mae Respicio grew up in Northern California and has great memories of spending childhood summers dancing in a Filipino folk-dance troupe. Mae is a past recipient of a PEN Center USA Emerging Voices Fellowship. She's been a writer-in-residence at Hedgebrook and Atlantic Center for the Arts and has published a variety of musings on parenthood. She lives with her family in the San Francisco Bay Area, not far from the ocean and the redwoods. This is her first novel. Visit her online at maerespicio.com and on Twitter at @maerespicio.